The best thing about walking in Sintra is that nature and trails are very varied: you can hike the mountain, walk along the rugged coastline or roam through the countryside and its villages. You can choose a more or less technical walk, and choose to either follow a marked path (there are over 140 km of marked paths) or navigate with a map or a GPS. 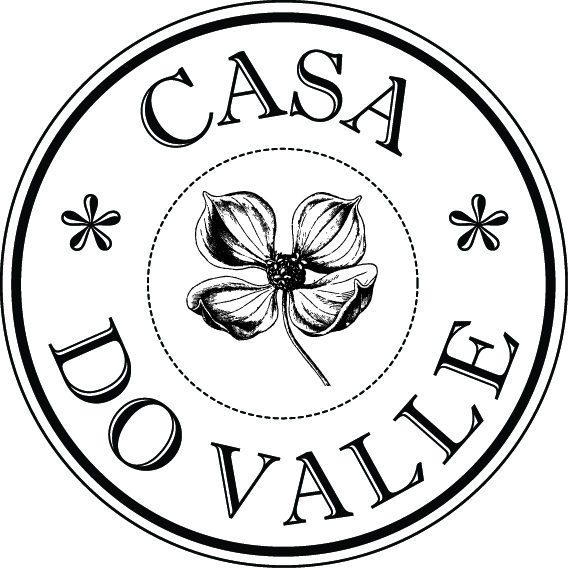 At Casa do Valle, we will be happy to help you plan the best paths for you and even add an activity or interest point if you want - like hiking to a vineyard for a wine tasting or choosing a walk that takes you to points of historical or cultural interest - or passes by archaeological sites. If you don't want to go on your own, we can book a walking guide for you or for your group for a half a day or a full day. Scroll to the bottom of the page for some videos on walking in Sintra! The nature in Sintra lends itself for many activities that are doable all year around. The 18 kms of coastline is very good forsurfing and bodyboarding. There are many surfschools with accredited instructors and the lessons include all the material needed to get started or continue practising this sport. Sintra's Praia Grande beach is one of the world cup beaches for bodyboarding. If you are more interested on flying, you can also get a paragliding baptism on the coast. Read more about this experience here. Climbing and bouldering are other great activities in Sintra, There are more than 20 crags and 30 bouldering sectors, limestone, granite, basalt and sandstone for Sport-climbing, Traditional-climbing and Bouldering. Mountain and road biking are both popular sports in Sintra. There are many tracks on the mountain and several bike rentals, also for electric bikes. There are 4 golf courses in Sintra and another 4 within 20 kms. 3-5 day golf passes are available - ask us for more information. The natural surroundings of Sintra also invite for yoga practices and meditation activities in the forest and on the local beaches. Many people come to Sintra looking for yoga and meditation retreats. The water in our swimming pool is usually comfortable for swimming from April to October, though it is not heated. There is a Finnish sauna at Casa do Valle that you can book for a private session. We have a range of kettle bells should you feel a need for weights, and yoga mats for your exercises. You can book a massageto calm your muscles after hiking or just to relax in the comfort of your room or in the garden. There is a large range of different massages to choose from. This summer we have free exercise classes several afternoons a week. Please check with us or on our blog for more details.